Polio was all but eradicated in the U.S. 60 years ago but new cases of a rare disease, very similar to polio, have begun popping up around the U.S. and health officials are worried. It's called acute flaccid myelitis (AFM) and like polio, it strikes mostly children. Through July of this year, the Centers for Disease Control and Prevention (CDC) has documented 32 new cases. More worrisome, the rate increased sharply from May through July. AFM strikes suddenly. Patients report weakness in one or more arms or legs. 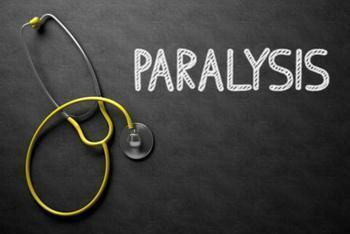 The weakness spreads until the patient is often paralyzed. MRI scans show inflammation of nerve cells in the spinal cord. Previously, the condition was rare, affecting only a handful of people in the U.S. each year. But in 2014, from August through December, the CDC confirmed reports of 120 children in 34 states who developed AFM. The median age of the victim was seven years old. According to the CDC data, almost all of the victims were admitted to hospitals and some required ventilators, which were common for polio victims in the past. Most of the patients reported developing a fever or respiratory illness before losing control of their limbs. As doctors worked to find common threads, they discovered that 80% of the children who developed AFM had elevated white blood cell counts, usually with higher than normal protein levels, in their spinal fluid. About 85% of the children who developed AFM showed some improvement in their conditions over time, but only three children have fully recovered. Fifteen percent have shown no improvement at all. The CDC, meanwhile, is trying to get at the root cause of the mysterious disease. The agency so far has tested several specimens from patients, looking for a pathogen that could be the trigger. So far, no pathogen has shown up. The CDC is also taking a closer look at what was happening health-wise in 2014 when the surge in AFM cases occurred. It discovered that the surge in AFM cases coincided with a national outbreak of severe respiratory illness among children caused by enterovirus D68 (EV-D68). While it is an interesting lead, the CDC says it has so far been unable to confirm any connection.